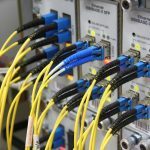 IP-telephony has tangible advantages over conventional analog communication networks. However, many still face its poor quality when they start to use it. Earlier in the late nineties of the last century, the Internet was not adapted for real-time data transfer and voice, in particular, therefore those users who managed to try out the quality of IP-telephony may well have their negative and unshakable opinion about it. Forecasts and hopes of analysts did not materialize, IP telephony did not immediately become the communication of the future, sales of IP phones quickly went into decline, even in civilized Europe and the advanced US. Buying a VoIP phone was recognized as the most useless waste of money for research at that time. Yes, gradually, the growth in digital communication consumption has increased, but not at the pace, as expected, and almost entirely in the corporate and industrial segments. 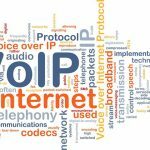 Consumers sluggishly adapted to VoIP, due to the low quality of codecs with a high compression ratio, constant communication interruptions, huge delay, echo presence and the impossibility to make a call due to the lack of free lines, as compared to mobile and fixed communication. 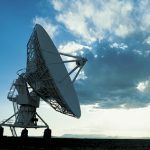 Although all mobile communications have long shifted to IP technologies, ordinary consumers still believe that the reason for stable and good cellular communication is in its special technology. However, this is not so, just the introduction of IP technologies has been done properly. 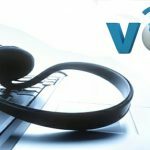 In this note, we would like to touch upon how does a VoIP phone work and what are the main reasons for the poor quality of VoIP calls and how to improve the quality in this situation. It can be the largest issue that makes Internet calls unreliable and unsatisfactory. The Internet always influences communication, so do not count on good quality if you have it slow or unreliable. 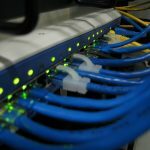 As you know, Internet providers do not usually care about voice traffic on their networks, their settings are designed for simple browsing of web pages. Streaming video and audio requires fast response and large available resources, which will cost providers much more, and often such traffic is unprofitable for them. There are recommendations for the necessary delay value of less than 150 ms one way for qualitative calls, but for international calls, a delay of up to 300 ms can be acceptable. Test your network before making calls and contact the provider’s technical support if you see that the delay exceeds reasonable limits. A fairly large number of users in our country still use DSL (ADSL, VDSL and so on) the Internet, so if you treat them, then call your provider and ask them to turn off interleaving on your line. You will definitely feel the difference: test your connection before and after switching off the interlacing, you will notice how your ping decreased by 10-40 ms. As a percentage, this can be up to 50% of the total delay. If your ISP is not able to solve your Internet problems, you need to find another one. Changing providers is not necessarily a reliable and correct solution, but it sometimes helps. Our advice: choose your provider wisely. Test it before signing the contract or ask its users. Maybe it will surprise you, but your router can also negatively affect the quality of IP-telephony. Some models are too slow to transfer traffic in real time without problems, along with the usual for web surfing. Sometimes they can hang, which is expressed by the delays and losses of IP packets. This is very disappointing since the router is the last tool that can usually get under suspicion and users, as a rule, do not give this fact due to attention. Many routers have a built-in Quality of Service (QoS) function, which is responsible for ensuring the priority of one traffic over another, thus ensuring the consistently high quality of the required connection. Enable this function for SIP traffic if your router supports this functionality. Make sure that SIP traffic has received the highest priority, so opening web pages, watching videos on YouTube or uploading files will not interrupt your important conversation. This is recommended for all types of users, corporate and home. Of course, if your router does not support this feature, we will not advise you to change the router, but if you purchase a new model, be sure to check it and enable it during the configuration process.